California is getting innovative with EV charging, having approved two utility proposals expected to expand charging and boost the numbers of electric vehicles (EVs) on the road. In the first, the California Public Utilities Commission (CPUC) approved a proposal by Southern California Edison to invest $22 million in its “Charge Ready and Market Education Program,” under which the utility provides incentives to deploy 1,500 EVs. Having a utility participate in paying for the infrastructure to support EV charging is a new model for providing the infrastructure, said Jordan Ramer, CEO, EV Connect. In the past, landlords and building owners were responsible for paying for electrical infrastructures to support the charging, he explained. That infrastructure could cost up to $2,000 per station, he said. “Now the utility is taking the electric infrastructure and making it part of their grid, saying ‘We will make the investment and won’t require the landlord to lay out the cash for that part of the EV equation,’ and taking it a step further and providing rebates for charging stations,” he said. The program is designed to provide infrastructure in locations where EVs will be parked for long periods of time — work places, shopping malls or multi-family communities, for example. “SCE’s program will bring electricity to the property and right up to the parking lot, and you can get a rebate to put a charger at that location,” explained Terry O’Day, vice president of NRG EVgo. Generally, renters ask landlords to install charging stations. Now, this program will fund the backbone needed, he said. This program will allow California to bring more renewable energy to the grid, O’Day said. Charging can be timed to occur when the most renewable power is being produced. 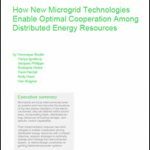 In addition, the charging stations will meet the requirements of demand response programs, meaning the utility can send a signal telling the operator of the charging station to schedule charging to meet the needs of the grid. Under the program, the charging station is owned by the store, apartment complex or other charging host. The site owner assumes responsibility for operating costs, maintenance, and electricity usage. 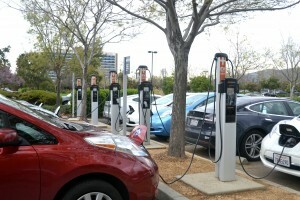 The utility provides rebates that apply to the base cost at a pre-determined percentage; 25 percent for non-residential stations, 50 percent for multi-unity dwellings, and 100 percent for EV stations installed in disadvantaged communities, according to the Electric Vehicle Charging Association. In Oregon, PacifiCorp and Portland General are considering similar programs, said O’Day. Meanwhile, the CPUC approved San Diego Gas & Electric’s proposal to develop a pilot program that will deploy 3,500 electric vehicle charging stations in the San Diego area. Track news about EV charging by subscribing to the free Energy Efficiency Markets newsletter. Did Energy Efficiency Kill the Keystone XL Pipeline? What if Your Electric Utility Acted More Like Amazon.com or Netflix? Electric vehicles are new age gods gifts for transport solutions. I think the technology needs to be simplified for effective use of EVs. Hyderabad city metro now providing recharge points for EVs. Multispeciality Hospitals in Hyderabad.